A newsletter about Allegheny Mountain Section Events and Environmental News. Each year, 10 issues of the newsletter are sent to our members. Click here for membership information. 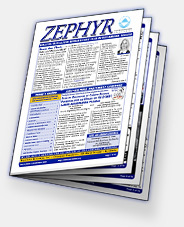 If you or someone you know might be interested in becoming a volunteer in the zephyr newsletter staff, please contact Meghan Yingling or Stephanie Snedden, our co-editors!